Visit the farms on Osler’s local food trail on Sept. 29 on a bicycle tour organized by the Saskatoon Food Council. 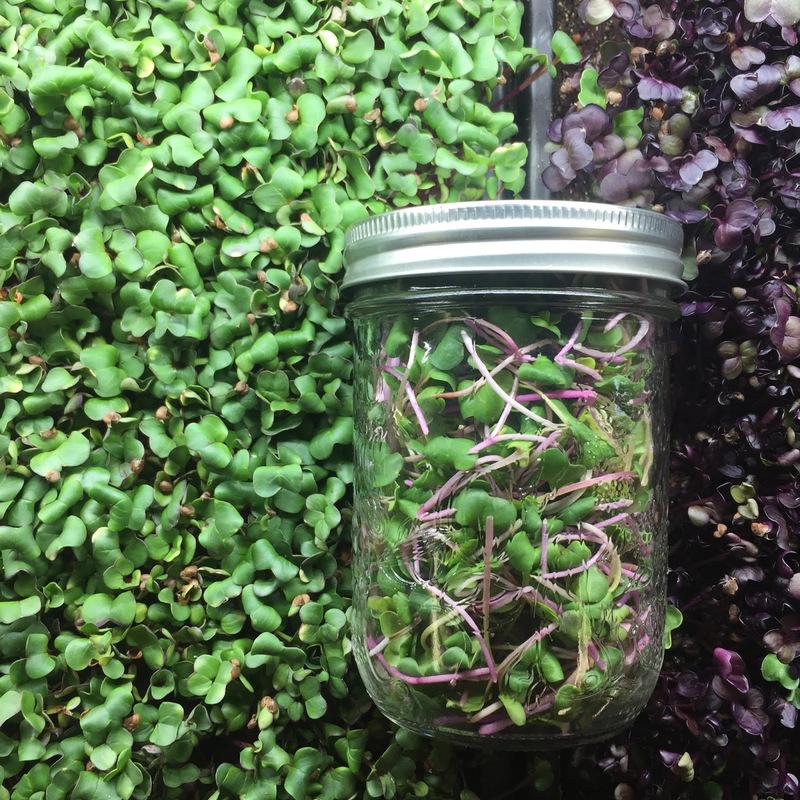 Green Cycle City Farm, a member of the Saskatoon Farmers’ Market Co-operative, is introducing a Fall Microgreen CSA starting mid-October. 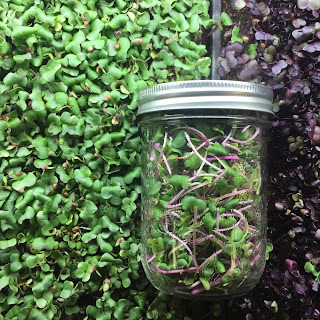 You’ll get two varieties of greens in a glass jar along with a recipe. The CSA will be zero waste and have super-low food miles – not to mention healthy, flavourful greens as winter sets in. Contact Haley at greencyclecityfarm@gmail.com if you’re interested. This has been an emotional week for me as many of us have joined forces to let Saskatoon City Council know that we support the Saskatoon Farmers’ Market Co-operative. 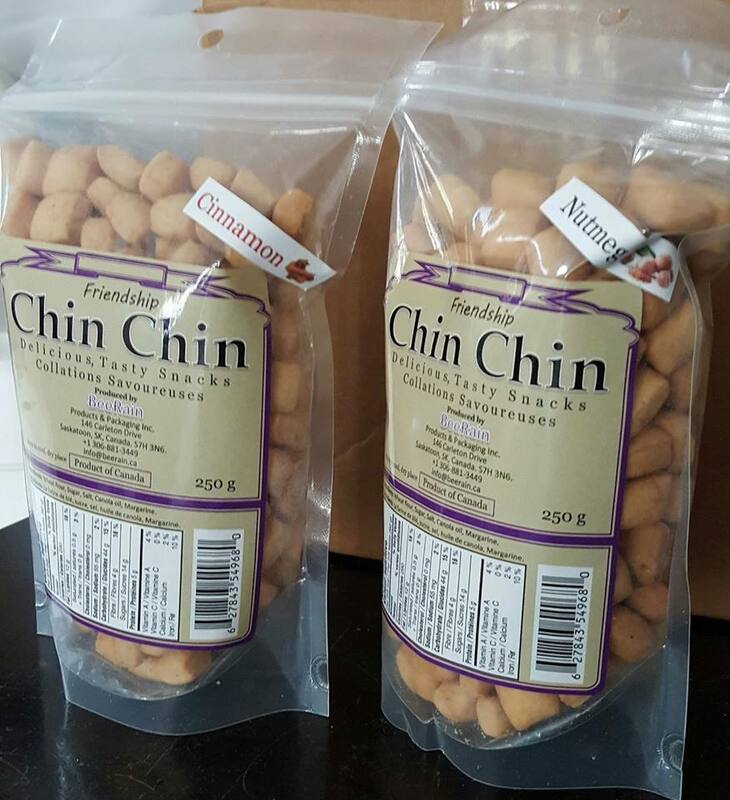 We live in a funny age where local farmers are being threatened with eviction while at the same time major supermarket chains are using “fake farm” branding to mislead their customers into thinking their products come from small-scale producers. It breaks my heart to know that a handful of multinationals grow rich while local farmers wonder whether they should buy seed to plant in the spring or horde their money to see them through the hard times ahead, when a young man, wondering about the future of the Saskatoon Farmers’ Market Co-operative, says he just hopes he will be able to keep on farming. A research study shows that urban weeds are not only safe to eat but very high in nutritional value. L’Express magazine records a rise in the number of organic, biodynamic, and sulfur-free wines being produced and sold in France. Large French supermarket chains are carrying up to 10% organic. It will be interesting to see whether that trend carries over to North America. What is wine? A beverage, an agricultural crop, a status symbol, an easy mark for fraudsters? It’s all of these and more when you read about China’s rage to possess and imitate Bordeaux wines over the past 10-15 years. 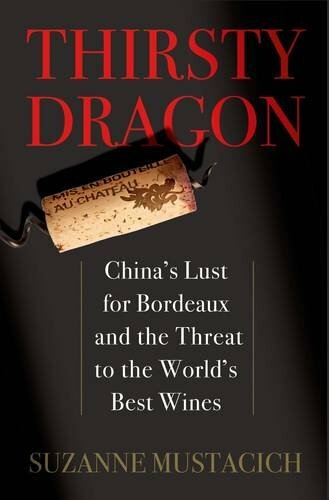 Thirsty Dragon: China’s Lust for Bordeaux and the Threat to the World’s Best Wines is a fascinating read – and it’s all the better because I’ll be spending 3 days in Bordeaux in November! The City of Saskatoon has big, bold dreams for the future of the old electrical building (current home of the Saskatoon Farmers' Market Co-operative). That’s fantastic, but I believe their plans are fatally flawed. Here’s why. The City wants more “animation” at the market site. First of all, I’m not sure what that means. Secondly, I go to the Saskatoon Farmers’ Market to buy locally grown food. I don’t go there to be entertained. If your primary goal is to bring lots of people to the site, turn it into a Tim Horton’s or a discount fashion outlet. If your goal is to support local food production and food security, then a farmers’ market is your best option. It’s true that Granville Island Public Market is animated 6 days a week. (In fact, it’s so busy there are traffic jams and locals have turned the site over to the tourists.) But Saskatoon isn’t Vancouver. We don’t have the population, the idyllic location, or easy access to tropical Asian fruits. Instead, we have an out-of-the way location and a limited amount of space. The City complains that Market vendors attend community markets held in various locations around town. What they fail to realize is that the public attends those markets because they’re conveniently located and provide ample free parking. Do We Want to Be 1980s Nashville? On the surface, it appears reasonable to combine a public market with a farmers’ market in order to hold a 6-day-a-week market, especially as the City says they’d make local food a priority. But let’s look at how it works in practice. Public markets provide a space for retailers to sell their wares. They don’t have to grow or produce the food themselves. They can purchase it from wholesalers, add a mark-up, and sell it on to consumers. It may look more attractive than a supermarket, but it could well be exactly the same produce. You won’t know where the produce was grown. You won’t be able to talk to the farmer. You won’t be supporting the local economy. Some of the retailers at a public market will be selling mainstream brands of yogurt, milk, dried goods – convenient yes, market-worthy no. It would be great to have a downtown supermarket, but let’s not try and force a market into that mold. Farmers’ markets in Alberta are 80% local farmers/producers and 20% resellers. That sounds okay until you look at it in practice. The resellers can afford large booths that take up most of the space. Local farmers are squeezed into the corners, forced to compete over price with large-scale resellers. Peterborough Market resolved the conflict between local farmers and resellers by kicking out genuine farmers who had questioned the resellers’ practices. The public started boycotting the market and both attendance and revenue went down. The Nashville Farmers’ Market was founded in the early 1800s as a producer-only market. In the 1980s, they changed their mind and vendors were selling commercially available, often resold, products. By 2014 vendors had realized this model wasn’t working. It was at odds with the current emphasis on local foods, traceability, and transparency, and they switched back to being a producer-only market. In 2015, the Nashville Market had its best season ever with 4 times as many farmers and peak-season sales more than making up for the drop in the low season. A comprehensive review of the Nashville Farmers' Market's decision is available online. The City says its goal is to ensure quality of life and meet community needs. Those are praiseworthy goals – that can be best met by providing the Saskatoon Farmers’ Market with an extended lease and full municipal support. There’s a huge sense of community at the Market. A trip to the market is a part of many families’ weekly routine. Friends get together over breakfast; we catch up with our neighbours; and we spread our purchases out between our favorite vendors. Tourists enjoy an authentic experience they won’t find at a public market. In addition to Market events, the Co-operative participates in a wide range of community events – from NatureCity Festival in the spring to Nuit Blanche in the fall. 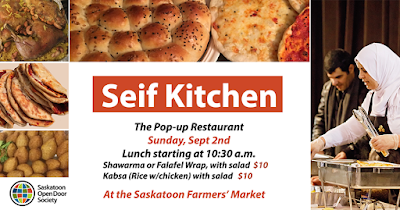 It’s been an absolute delight over the past few months to see how the Co-operative has partnered with the Saskatoon Open Door Society to provide Newcomers with an opportunity to test-drive their food-based businesses. We have a fabulous farmers’ market, which is regularly on Chatelaine’s list of the top 10 farmers’ markets across Canada. Let’s focus on what we have and support it rather than threatening to shut it down. Edmonton City Council supports the Old Strathcona Farmers’ Market with free parking and a $1/year lease for an indoor market building that is only open on Saturdays. That’s the kind of support Saskatoon needs for local food, local farmers, the local economy, and local food security. Please join me in showing support for the Saskatoon Farmers’ Market Co-operative at the Saskatoon City Council meeting at 1 pm, Monday, September 24. Here is the agenda for the meeting. You can request to speak for 2 minutes. The menu is now out for Slow Food Saskatoon’s Harvest Vegetarian Dinner and it looks yummy! Buy your tickets now – they’re going fast. The Doukhobour Society of Saskatoon is hosting a borsch supper on October 20. I used to live in an area of BC with a large Doukhobour population and they make the best borsch ever! There are two seatings at 4:30 and 6:30 pm. The Saskatchewan Food Industry Development Centre is offering a one-day food product development workshop on Oct. 29. Saskatoon City Council take note: “As the food movement gains strength and farm-to-fork practices become increasingly popular, many cities across the United States are investing in urban agriculture, both to attract tourists and to improve community health.” Yet more reasons for continuing to support the Saskatoon Farmers' Market Co-operative. I will be speaking in support of the Saskatoon Farmers' Market Co-operative at the Sept. 24 meeting of Saskatoon City Council. Please join me in supporting an extremely valuable institution. And please sign the petition on your next visit to the Market. Together, we can make a difference. I spend over half my weekly food budget at the Saskatoon Farmers’ Market, purchasing everything from eggs and lentils to fruit and vegetables. This is a very deliberate decision. I want to eat food that is grown and produced locally. I want to be able to greet my food producer with a smile (and many of them are now friends). I want to keep my dollars in the local economy – to support local residents rather than large multinational corporations based in another country. It’s harder in winter, but I eat seasonally as much as possible and I’m grateful for farmers with covered fields (Floating Gardens, Grandora Gardens, Kaleidoscope) who extend the season as much as possible. Is it expensive? Possibly, but I believe in aligning my purchases with my values. I’d rather spend money on food that is healthy and that provides an income for my fellow citizens than on an extra pair of shoes or a new dress. I feel safer buying food locally. Yes, there is still a chance the food will be contaminated but, knowing that I can chat with the farmer who grows the food, picks, and packages it, provides me with a much-appreciated sense of security. Buying locally connects me with nature, the weather, and the seasons. I commiserate with the farmers about a late spring. I cheer when asparagus first appears at the market, and I sadly wave goodbye when Little Quail Orchards leaves their final autumn market. I have a greater appreciation of what goes into growing or producing the food I buy. I’m grateful that Michelle is up half the night baking scones so that they will be fresh for her customers on Saturday morning. I know, and am grateful for, the long hours the Simpkins family has put in for many, many years growing and harvesting vegetables. I sympathize when an early frost cuts short the growing season and cuts into the farmers’ income. Where Will I Shop Next Year? I am grieving this week’s announcement by the City of Saskatoon that they won’t be renewing the Saskatoon Farmers’ Market Co-operative’s lease for the space they have occupied for the last 11 years. They say they want a market that operates 6 days a week with more activity and full animation. Well, that’s not realistic for local farmers who need to be out in their fields seeding and weeding and harvesting. It’s not realistic for small-scale food producers who spend their week shopping and cooking in order to sell fresh baking or canned goods. It’s fun visiting Granville Public Market, but it’s a glorified supermarket. You’re not meeting local farmers or supporting the local economy. And not all public markets are as successful as Vancouver’s. Visit Victoria’s Public Market and you’ll find a food court and a few food-related businesses. It’s a sad place with none of the life and energy of a farmers’ market – and certainly none of the personal interaction. The Saskatoon Farmers’ Market has worked very, very hard to support the local community. 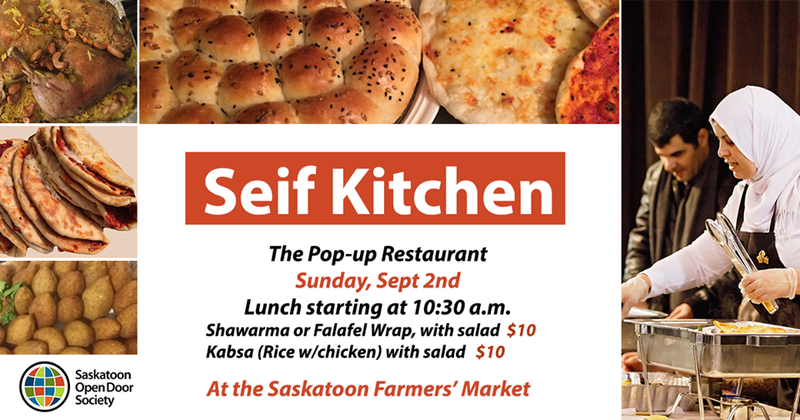 They’ve collaborated with the Saskatoon Open Door Society to allow small businesses to test-market unique foods at pop-up kitchens. Thursday Night Art Markets offer local artists a chance to showcase their creations. The Market hosts a wide variety of events from this weekend’s Seabuckthorn Festival to children’s cooking classes, Easter cake decorating, and best rhubarb recipe contests. Over 7,000 people visit the Market on a busy Saturday and the Market directly or indirectly employs more than 100 people, generating millions of dollars in local economic activity. Saskatchewan prides itself on its agricultural heritage. I worry that we have lost touch with the reality of family farms and local food production in a drive towards bigger farms and bigger profits driven by exports. What does our future hold if we see food as a commodity rather than essential to human life? What will we become if we value tourist attractions over local food security? If you believe in the value of family farms, local food, and the local economy, I encourage you to contact your City Councillor and throw your support behind the Saskatoon Farmers’ Market Co-operative. Black Fox Farm & Distillery is hosting a Pumpkin Fest on Sept. 15 and 16 with lots of activities for kids. Frisk Market is holding a pop-up vegan breakfast from 9 am to noon, Sept. 16. If you’ve been enjoying tulips, eggplants, peppers, and other delicious vegetables from Kaleidoscope Gardens for the last 7 years, I hope you’ll join me on Friday morning, October 12, at the Saskatoon Farmers’ Market when Jennifer and Adi become Canadian citizens. Thank you, Jennifer and Adi, for all you contribute to the Market and to our supply of healthy local food. We’re so glad you decided to live in Saskatchewan. Food Not Bombs serves up solidarity, not charity, at its first freestanding event in Saskatoon. They welcome additional volunteers. I visited Urban Cellars, a private liquor store at the corner of 8th & McKercher, last week and was generally pleased with their wine selection. It looked like you would be able to find some brands that aren’t available in the government liquor stores. I “discovered” Fiasco gelato this summer and it was totally addictive. I stuck with Dark Chocolate Caramel Sea Salt, but their other flavours look great too and they have various dairy-free options (Creamy Coconut, Raspberry Lime). It’s available at various Saskatoon locations. Not only does Fiasco make great gelato, but it’s local (Alberta), a B Corporation, uses Bullfrog Power, diverts 95% of its waste from landfill, is LEAF certified, and pays a living wage. I bought a tin of purple tea from JustTea this summer. A genetic mutation gives the leaves a purple tint. Promoters claim it has lots of antioxidant anthocyanin (like blueberries) due to its colour. I’ve been spending 5-6 months housesitting in Europe for the last few years. If you’ve ever thought about doing something similar, here are a few tips. I use Trusted Housesitters and Nomador websites. Trusted Housesitters is the largest online listing of housesitting opportunities. Nomador is particularly useful for French housesits (most listings are in French). Be flexible. I've stayed in wonderful places that I would never otherwise have visited. The good housesits get snapped up quickly. I browse the websites, using the filters, at least once a day when I have several gaps to fill. References are critical. If you’re new to applying for housesits online, be sure to get reviews from family and friends whose homes and pets you’ve cared for. Prepare a good profile with photographs that gives homeowners a sense of your personality. 2. Start planning well in advance. This year I booked my first 3 housesits 6-9 months before the actual housesitting dates. Two of them are return housesits (the very best kind) to places I really enjoy and would hate to miss out on. The other is a 5-week housesit over Christmas. These form the backbone of my plan – then I fill in the gaps, sometimes at the last moment. It’s a bit of a gamble accepting a long-term housesit months ahead of schedule as I may miss out on something really good that isn’t posted until later. I feel comfortable with this year’s decision as it ticks a lot of my boxes. And that brings me to my next point – you need to know what you are looking for and what you think you’ll enjoy. My criteria for a “great” housesit change slightly from year to year and are strictly personal choices – what I choose will not necessarily suit anyone else. Spending time in France is my top priority. I’ve chosen not to drive in Europe and I prefer small towns which I can explore on foot, find a few favorite spots, and go for semi-rural walks. I also enjoy being near or by the sea. I look first for cat sitting opportunities, but I’ll look after dogs if the circumstances are right or if the location is just too good to miss. Because I work while travelling I look for a dining room table where I can set up my laptop. I also look for a nice house because I know I’ll be spending many hours indoors every day. Before I apply for a housesit, I check out the location online so I have some idea of where I’m going, what transportation will be available, and how difficult it could be to get there. Rome2Rio is invaluable in working out how to get from one place to the next. As a Canadian, I can only stay in the Schengen Zone (most of Europe but not the United Kingdom) for 90 days so I have to count days and work out the best combination of housesits. I try to keep my Channel crossings to a minimum because of cost and time. It would be easier if there were more housesitting opportunities in France, but there aren’t, so I tend to take whatever is available even if it means crossing back and forth to the UK more than once. In 6 months I’ll have 7-10 housesits and the travel and getting settled in new places can be tiring. It’s the small stuff that adds up – figuring out how the vacuum cleaner worked required an internet search at one location! It can also be more tiring if you don’t speak the language – I stayed in a suburb of Amsterdam where English was probably a third language for most of the locals. Short-term housesits may fill a gap, but you have to make sure the length of stay balances out the travel time. Two days travelling for a 3-day housesit probably isn’t a good choice. Housesitting is a fabulous experience. I’ve fallen in love with so many places that I wouldn’t otherwise have had the opportunity to visit. Plan ahead and you can have a great time at much less cost and much more comfort than if you stayed in hotels. Plus you really get a feel for the local way of life. Riversdale residents are invited to enjoy a bowl of chili by Chef Jenni and discuss the Saskatoon Farmers’ Market role in the Riversdale neighbourhood at 6 pm, Sept. 4. Metro Liquor is hosting a Craft Beer Night from 6-9 pm, Sept. 5. Sign up in advance to check out beers from 9 Mile Legacy, Paddock Wood Brewing, and Prairie Sun Brewery. CHEP is hosting two canning workshops: Pickling 101 on Sept. 13 and Jam Making on Sept. 27. Contact stefanie@chep.org or call (306) 655-4575 to register. They are also hosting a Mexican cooking class with home cook Liliana Rodriguez from Texcoco, Mexico, on Sept. 20. You’ll find all the details in CHEP’s September newsletter. I was at the Saskatoon Farmers’ Market on Sunday stocking up on food for the week ahead. I had a falafel wrap from Seif Kitchen (they do monthly lunches as well as operate a booth) and really enjoyed it. Falafel wraps can be boring, but not this one. The falafel balls were spicy and there were lots of fillings and sauce – a delicious, filling meal. They sell falafels, hummus, and various other items at their booth.